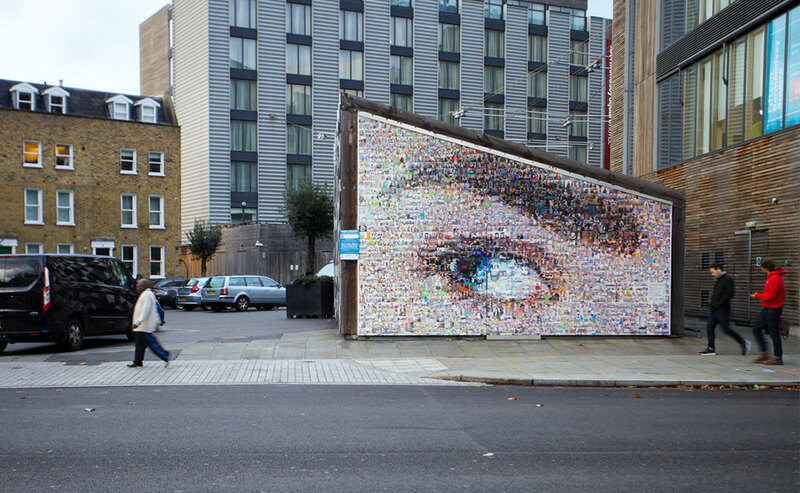 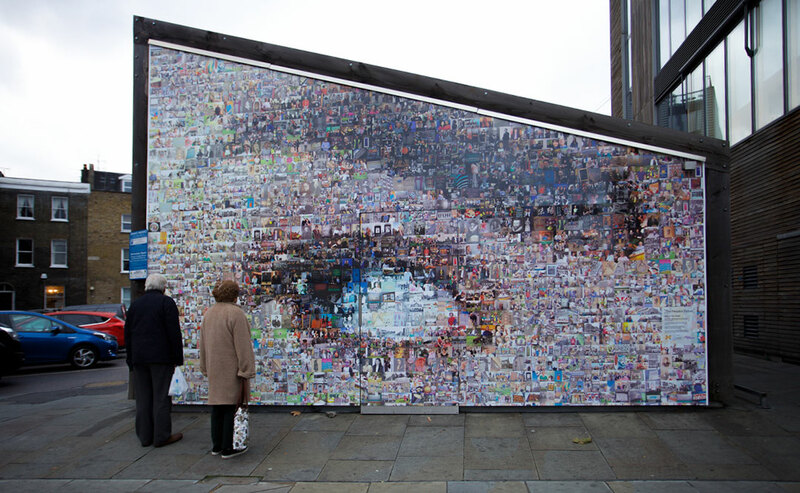 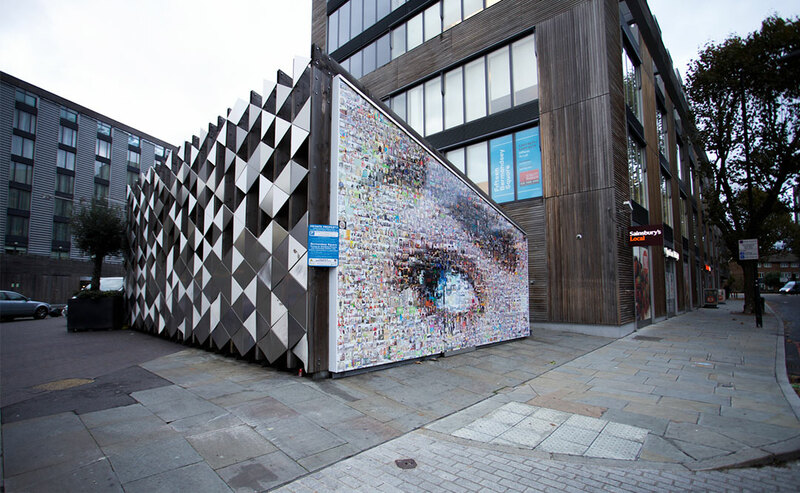 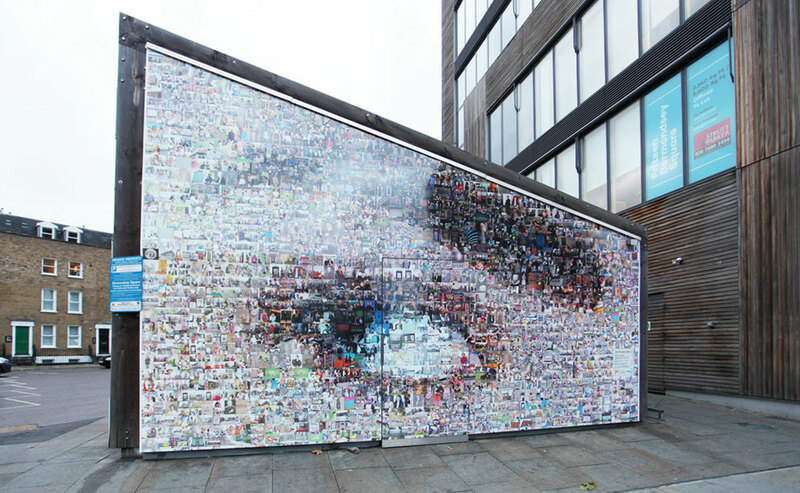 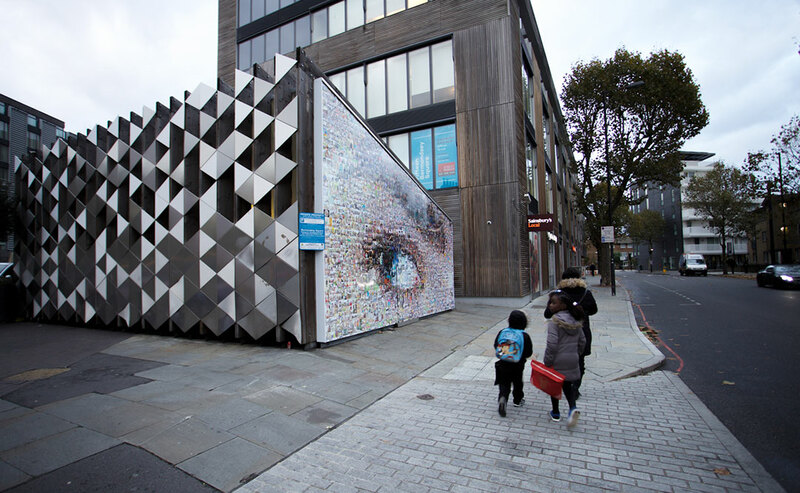 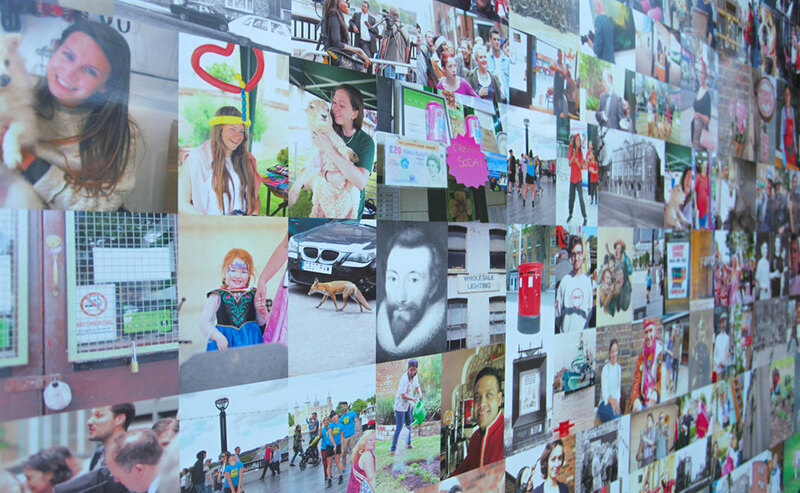 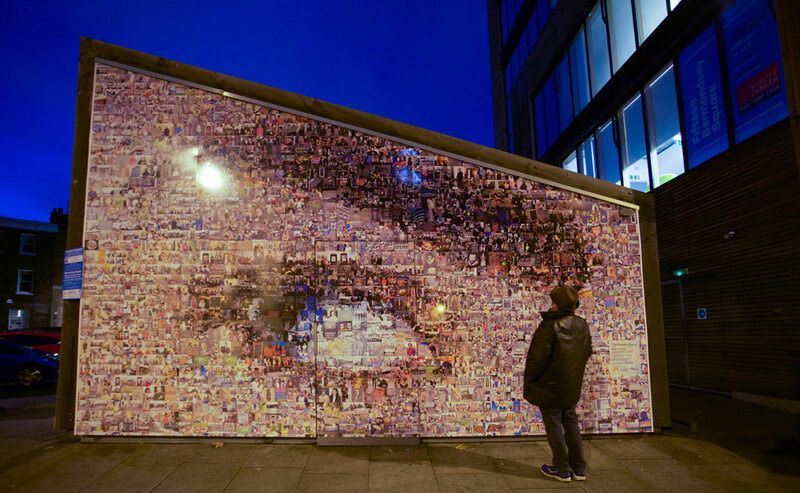 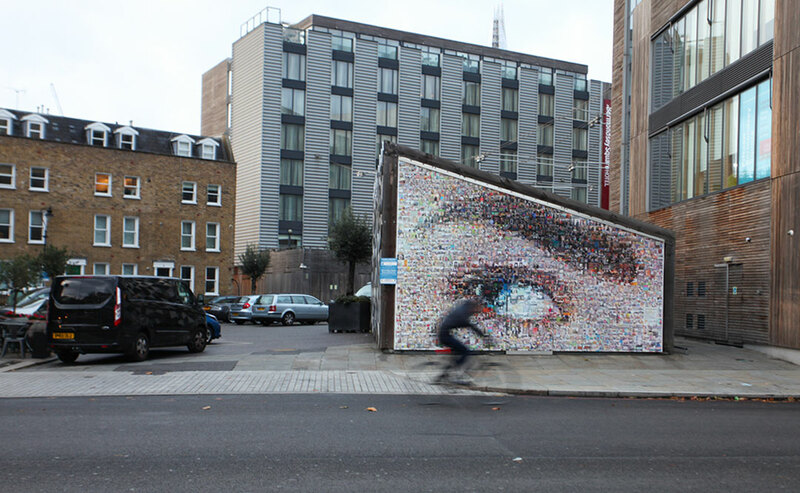 ‘Eye on the Road’ is made up of 1,955 individual photographs reflecting the local history and present day activities in and around Tower Bridge Road. 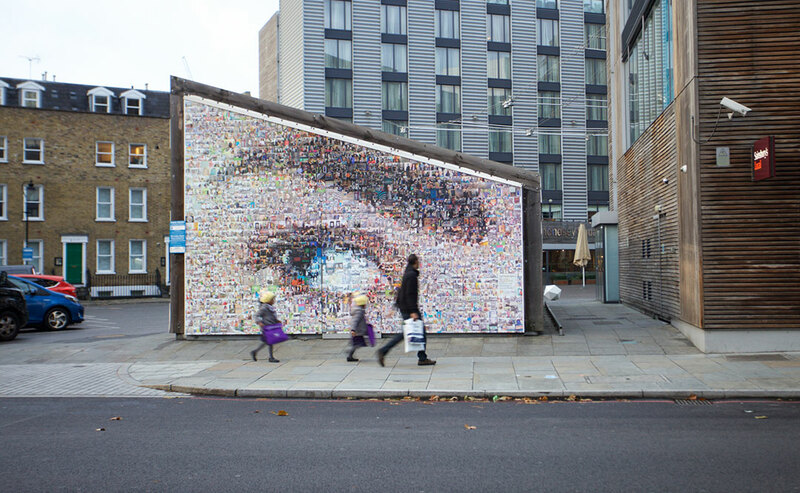 Southwark Council partnered with the Tower Bridge Road Alliance and artist Helen Marshall of The People’s Picture to create this artwork. 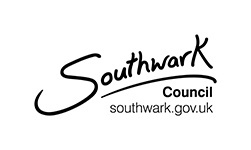 The work was funded under Southwark Council’s High Street Challenge initiative to help promote the area and local businesses. 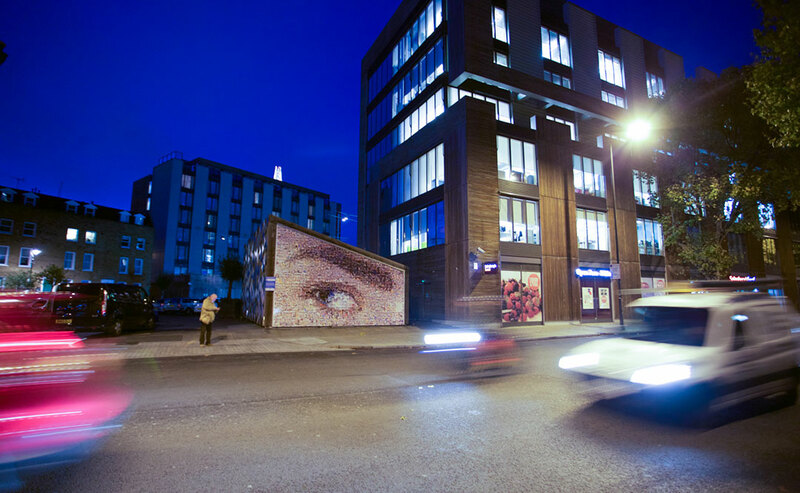 It is located on the award winning Bike Shed by Sarah Wigglesworth eco-architects on the edge of Bermondsey Square SE13FD, looking towards the south side of Tower Bridge Road, an area of diversity and activity.